Apple Cream Pie – a super easy and very delicious apple pie. Covered in a cinnamon sugar mixture and heavy cream, this pie is sure to bring smiles all year round. With Thanksgiving a little more than a week away, I figured it was high time I gave one of my favorite recipes, this Apple Cream Pie, new life. 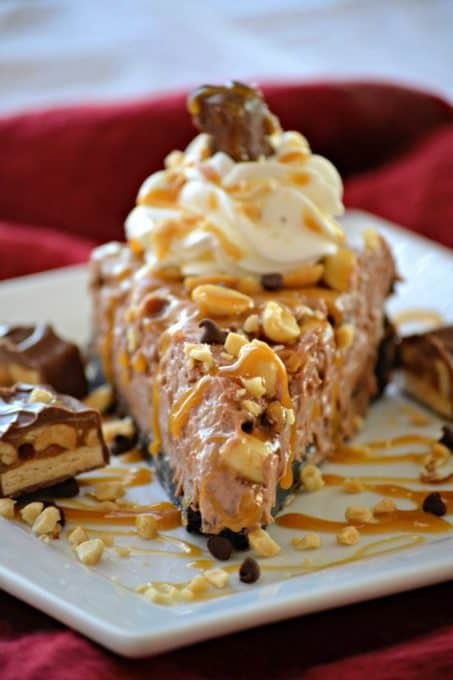 This recipe is one of my all time favorites. I originally published this post on the 4th day of my original 365 Days of Baking way back when. You can find the original content along with the pictures below. I grew up eating this Apple Cream Pie every Thanksgiving and Christmas and it brings back some wonderful holiday and family memories. To this day, it always takes me back to when I was young. One of my favorite people in the whole wide world, my mother’s sister, would make it and I think she continued to do so year after year because I requested it so often. I remember trying to hurry everyone through dinner just so I could get my hands on this pie and I was mad if I didn’t get at least two pieces. Through the years I’ve made it for my own family and they enjoy it as well. This makes me very happy because as I get older, I’m more than happy to share it and will only go for one piece at a time. 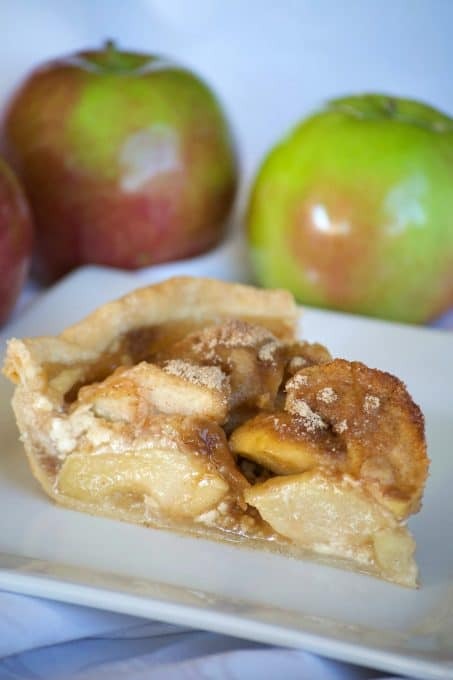 It’s SUPER easy to make and is delicious with a pie crust made from scratch or one that is store bought. One of my favorite things about the pie is the way the cinnamon sugar mixture hardens on the crust as it bakes. YUM! My aunt always put 1/4 teaspoon cinnamon into her dough when she was making it from scratch, but I haven’t and it’s always tasted just as good. Also, feel free to use any kind of apples you wish. I’ve used various ones throughout the years and always go back to my preference of MacIntosh. They may not be the perfect apples for pie baking, but I like that they’re soft when eating and just like the overall taste. This Apple Cream Pie is a super easy and very delicious apple pie. Covered in cinnamon sugar and some heavy cream, it's sure to bring smiles all year round. 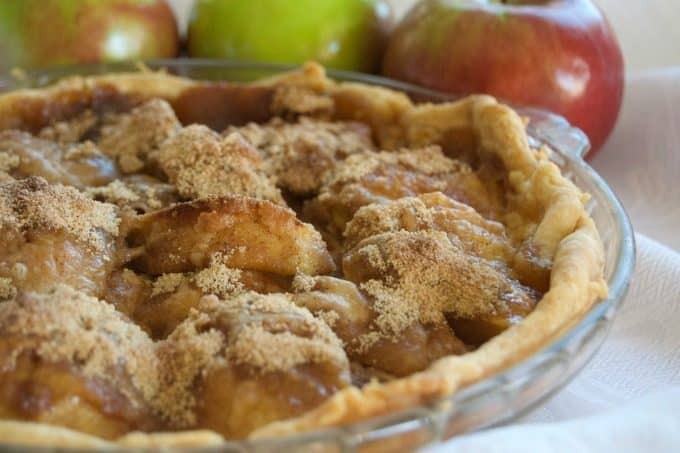 Pare and quarter apples and place in the unbaked pie shell. Sprinkle lemon juice over apples. Sprinkle 3/4 dry ingredients over the apples. Gently pour the cream over the apples. Sprinkle with remaining dry ingredients. Bake at 400 degrees F. for 10 minutes. 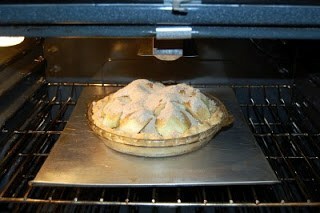 Lower heat to 350 degrees F. and bake for an additional 45 - 60 minutes or until apples are tender. Pie tastes best after it has been refrigerated for a couple of hours. If you are making the pie crust from scratch, add a 1/4 teaspoon of cinnamon to the pie dough for some additional flavor. “Funny, it’s only day 4 and I’m feeling that I’ve been baking and blogging for months (haha)! I realized this morning that I omitted a very important part of my post last night – taste. How can a person be blogging about what they’re cooking, baking, or even frying if they aren’t going to add how it tastes? The Pepperoni bread was good, but it wasn’t one of those times that it was “to die for” because I have made those. My son loved it, but I may have thought that because I wasn’t feeling all that well yesterday and had very little appetite, too. I was disappointed that the dough was so bread-like, especially towards one side of the loaf. The Pepperoni and cheese wasn’t evenly distributed. It was certainly edible, but I am my own worst critic as I’m sure you’ll discover. I’m not going to pretend that I’m the world’s greatest baker and I deserve to have my own show on the Food Network because I definitely am not, far from it. I enjoy being in the kitchen and feeding my family and one of my goals for this is to improve my baking. An aside, my scale says I lost two pounds. I haven’t exercised, but I’m thinking “thin”, so maybe I’m wishing the weight away. Ok, more honestly, it’s probably that I’ve lost that wonderful monthly water retention. Ok, I typed the beginning of this blog this morning at 8:44 a.m., and it is now 11:06 p.m. Life happened – breakfast had to be made, piles of laundry needed to be done, a daughter went back to college, groceries needed to be gotten, and a son requested assistance with homework and a science project which ended up regressing because of the parental input. I’m aggravated. There just wasn’t enough time in the day today. I know sometimes that happens and usually I can deal with it, but maybe it’s because I now have superglue on 6 of my ten fingers, that I can’t upload pictures to this particular computer because I can’t figure out how, that it took me 4 hours to make a pie crust (really wasn’t difficult I just had so many interruptions), or that the pie is in the oven and will be done at the stroke of midnight. I didn’t even make dinner! It was a fend-for-yourself-eat-leftovers night. I made my first pie crust from scratch. We’ll see how it turns out. As I said, it really wasn’t difficult and if you are uninterrupted, should not take very long maybe an hour and a half including chill time. I used the recipe from one of my Julia Child cookbooks thinking that her’s would be one of the best. My only concern, well, two actually was that I trimmed the edges right at the top of the pie plate and that I didn’t roll it thin enough. When I pre-baked it there was shrinkage and some of the crust is below the plate edge, and I just think the thing is too darn thick. We’ll see. 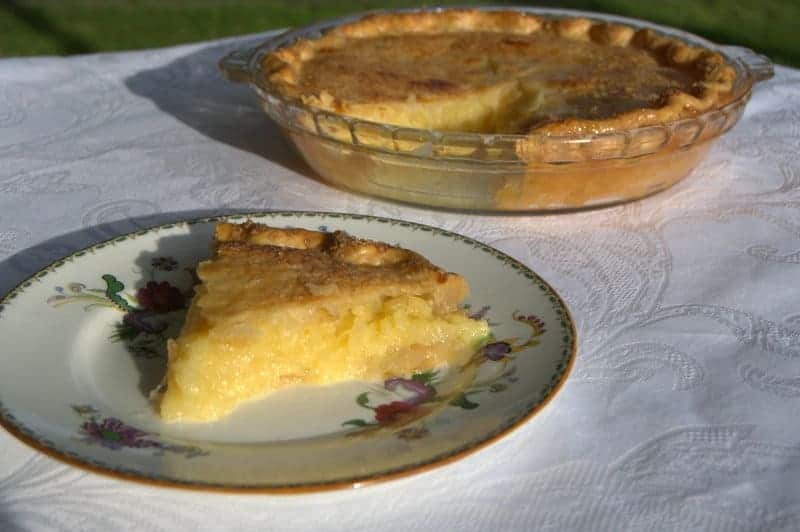 This Apple Cream Pie recipe hails from my mother’s sister, Jeanne. She is a wonderful cook, too, just like her mother. My mother, not so much. She inherited the creative genes, not the culinary ones. She wasn’t bad, just…ok. I’ve mostly made this pie for Thanksgiving, but it’s been quite a few years. It felt weird to not make it for a special occasion. I’m glad I did though. It smells delicious! You’re probably already in bed, but Happy Baking! Eggnog Custard Pie from Who Needs A Cape? 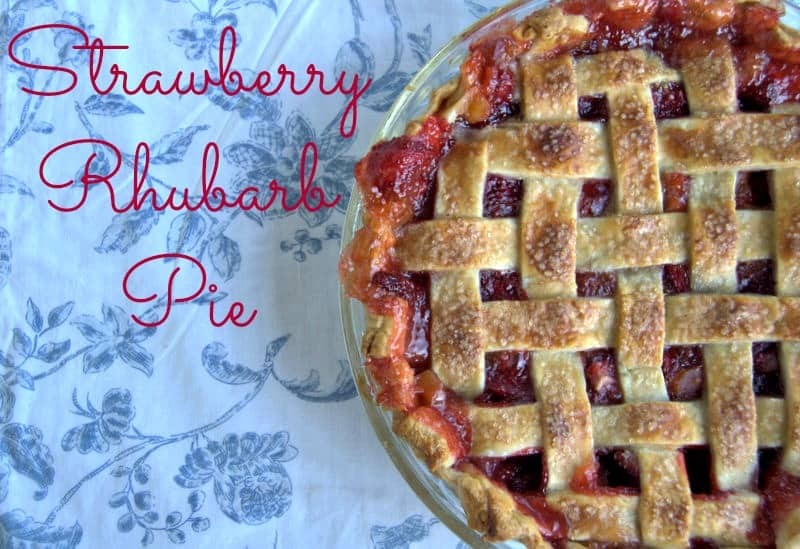 Take a look at these videos to see how to make the perfect pie crust! Do you think you could substitute blueberries? 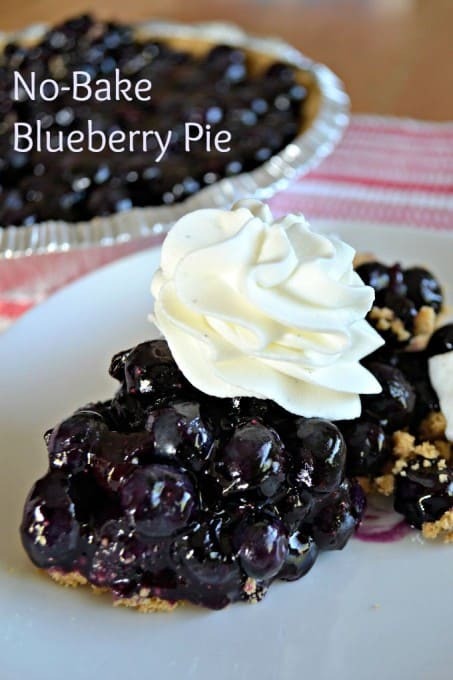 I had a blueberry pie that sounds like this years ago, and It was amazing. Mary, that’s very interesting as I’ve never heard of a Blueberry Cream Pie. I would do a Google search to see if there’s a recipe for it as I honestly don’t know about substituting the blueberries for the apples. I am so excited to have found this recipe! I had it about thirty years ago but lost it in a move. I have searched for it online but never found the right one. 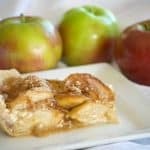 This is seriously the most delicious apple pie and it is so easy to make too. You made my day…thank you! Yay, Lisa!!! I’m SO psyched you found it!! I don’t know what I’d do if I ever lost it as it one of my favorites, too! Enjoy every single bite, girl! !